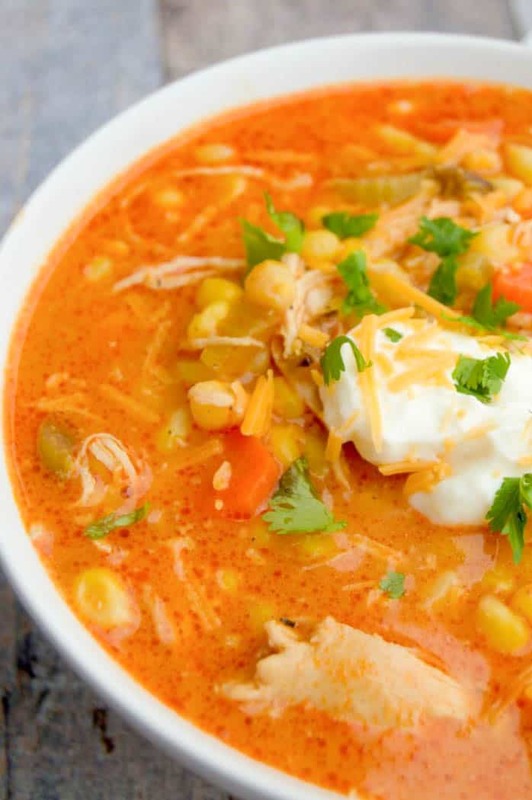 If you like buffalo chicken you will have to try this Buffalo Chicken Soup. It’s my new favorite soup, mixed with the bold buffalo spice and creamy ranch dressing. I love all things buffalo chicken. I am a big spicy food person so anything with this bold flavor is right up my ally. 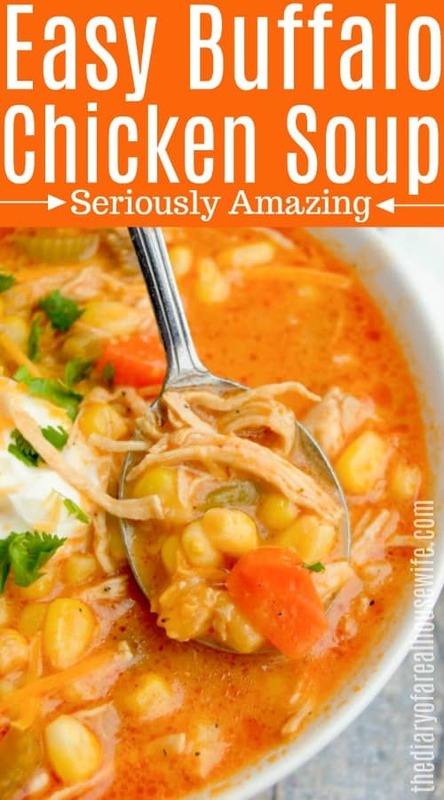 This soup doesn’t have too much spice though, I tamed it down so others can enjoy it but if you like more spice as I do then cut back on the ranch and add a little more buffalo wing soup or even just hot sauce. I served mine topped with more sour cream, fresh cilantro, and a little more cheese plus a few tortilla chips in the side for dipping. One: In a large pot melt butter on medium heat. Add onions, celery, carrots, corn, and garlic. Cook until veggies have softened. Two: Sprinkle in flour and stir. Next add tomato paste, and chicken broth and stir well. Add in whole chicken breast and then season with salt and pepper. You can add in more salt or pepper to taste. Three: Add wing sauce, sour cream, and ranch dressing. Bring to a boil then cover and reduce heat. Simmering until chicken is cooked through. Once cooked you can remove your chicken from pot and shred then add shredded back into the soup. I topped mine with more sour cream and sour cream. I even love it with some tortilla chips on top! Shredded Buffalo Chicken Sandwich: Oh my goodness Y’all, this recipe is the BEST! 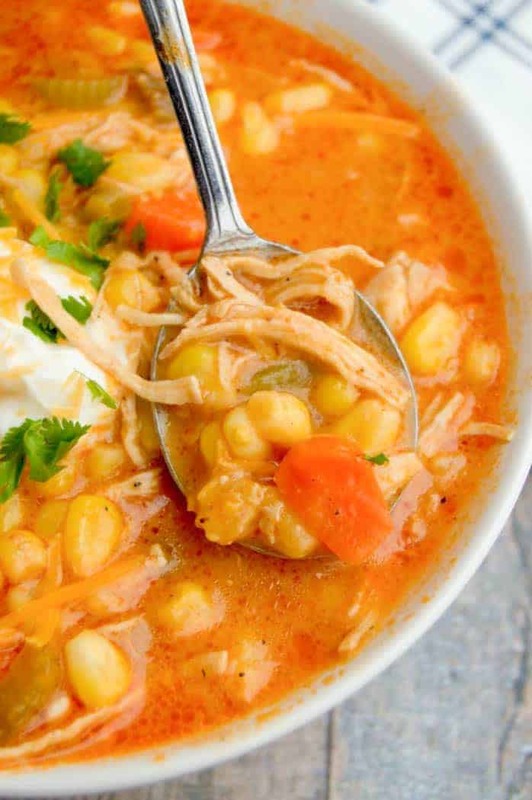 It’s made int he slow cooker and so easy to make and taste amazing. Baked Crispy Buffalo Wings: I love wings and this recipe is one of the best. I was able to bake them but still get them to turn our crispy, you are going to love them. Buffalo Chicken Dip: This recipe I have been making for years. It’s been a favorite of mine for as long as I can remember. Any party or football game this will be on my table! Optional: sour cream and fresh cilantro. In a large pot melt butter on medium heat. Add onions, celery, carrots, corn, and garlic. Allow to cook for 5-6 minutes until veggies have softened. Sprinkle in flour and stir. Next add tomato paste, and chicken broth and stir well. Add in whole chicken breast (you will remove and shred later) Season with salt and pepper. Add wing sauce, sour cream, and ranch dressing. Bring to a boil then cover and reduce heat. Allow to simmer for 30-40 minutes or until chicken is cooked through. Remove chicken from pot and shred then add shredded back into the soup. Garnish with shredded cheese. Or optional sour cream, and fresh cilantro. Does this soup freeze well? Hi Anne! I have yet to freeze this soup but have with similar ones. I think it would freeze great and could stay good for 2-3 months. I would place it in the fridge 24 hours before serving and then reheat. I made this soup recently & everyone Loved it !!! Yah! So happy to hear that. Thanks for coming back with a review, I appreciate it!! 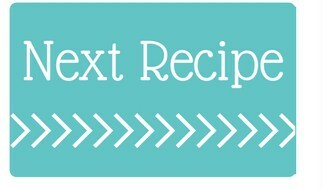 Could you post the nutritional with your recipes. 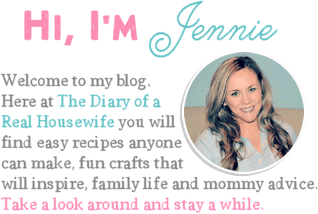 Hi Joanne, I am working on updating old recipes and getting that but I need some help with all the programming for it but will hopefully have it up and running soon. Can this be cooked in a slow cooker? Yes, this would work great in the slow cooker. 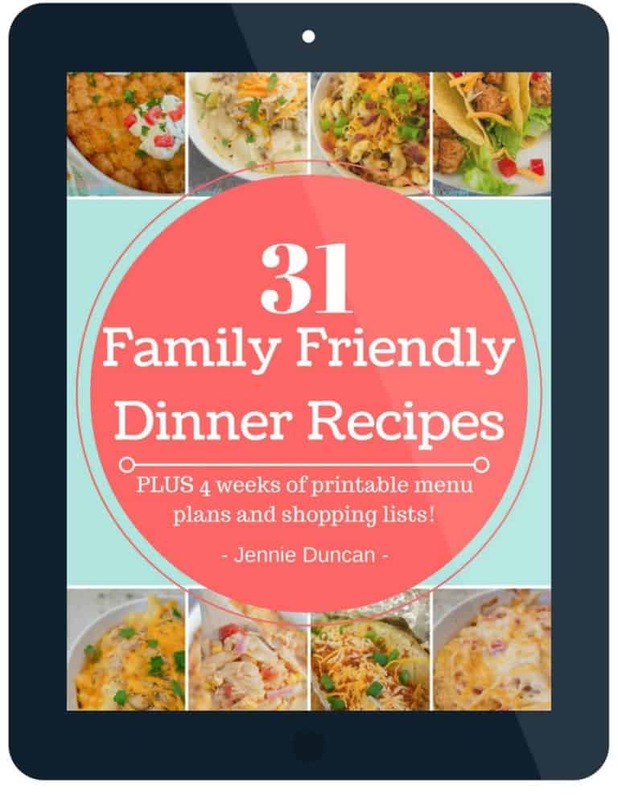 I would add everything in and mix it well and let it cook until your chicken is tender and can be shredded. Hope you enjoy the recipe Tracey! This dish looks so deliciously good. I wish I could eat that right this minute! The recipe calls for shredded cheddar cheese but I don’t see where it is added to the soup. Is it a garnish? Hi Genia, yes for garnish. Sorry, that was not clear, just updated!